Train stations are interesting places. Some stations like 30th Street Station in Philadelphia are majestic older buildings with beautiful architecture. Others, like Penn Station in New York City, are failed modern designs, ugly and overcapacity. 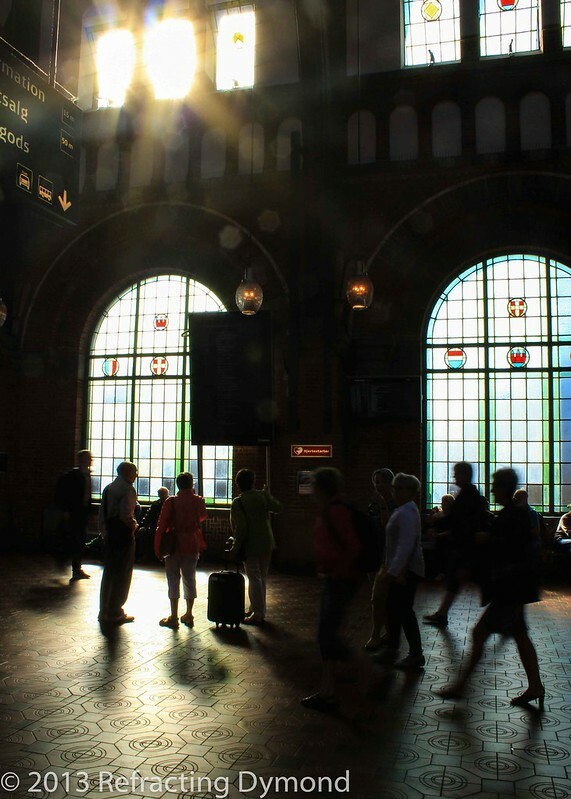 Copenhagen station is a turn of the century building. 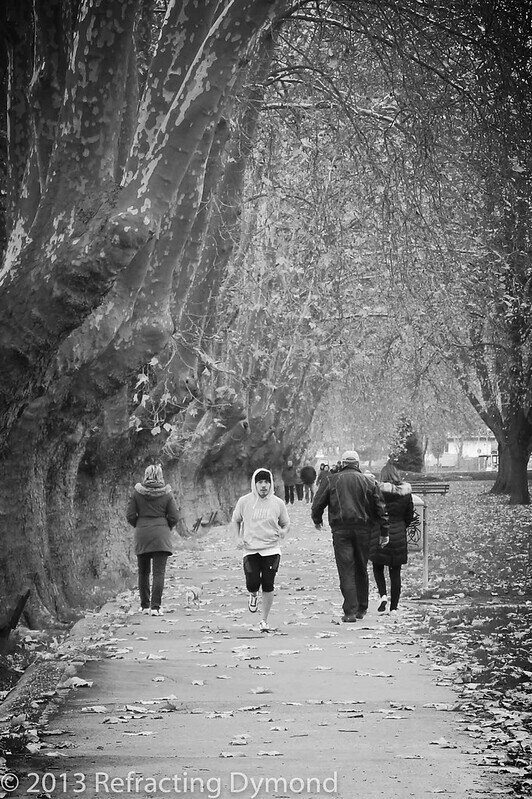 Beyond the architecture, the mix of people is also something that always catches my eye. I am a people watcher and fascinated by the hustle and bustle. 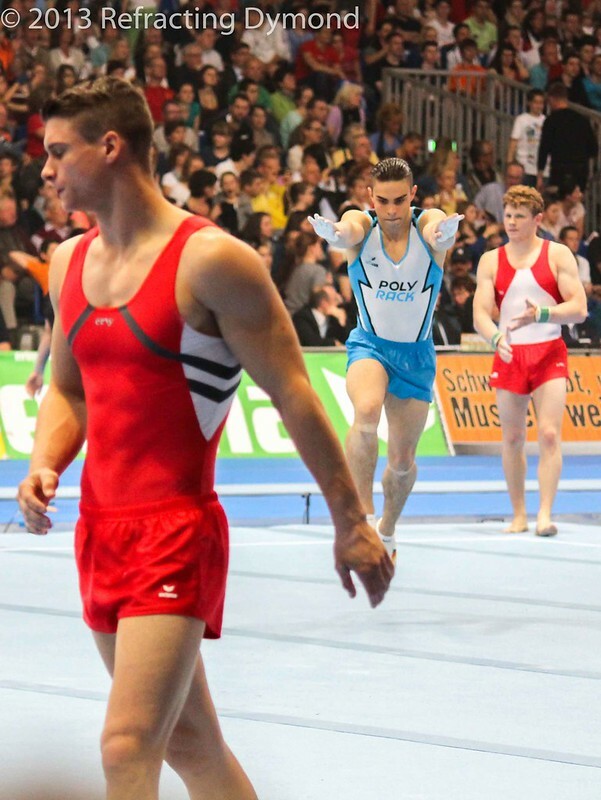 The gymnastics German championships were held in Mannheim in 2013 as part of the International Gymnastics Festival. It was a neat event and seeing the men’s finals live really gave me a new appreciation for what the athletes achieve. It also made me realize how out of shape I was at the time. I still can’t do back flips, but at least I am in better shape now. 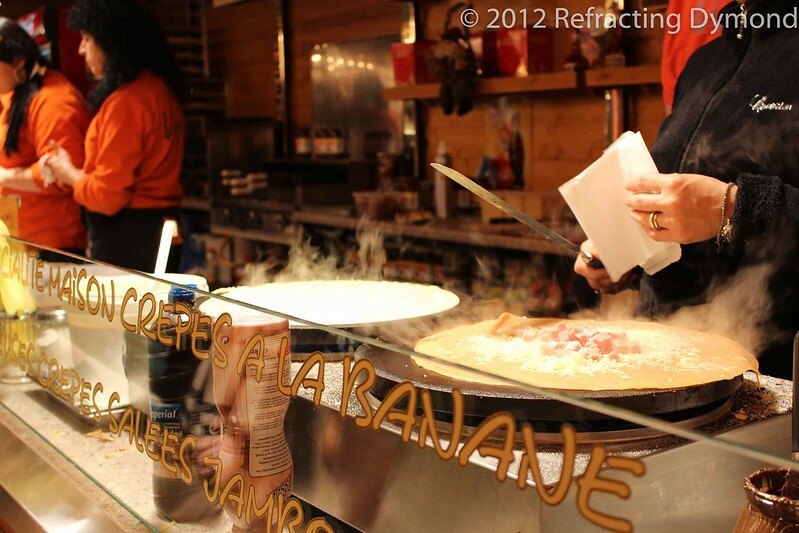 Crepes are one of my favorite snacks and always a highlight of visiting France. My favorites are cheese and ham as a savory snack, while a banana and Nutella crepe is my favorite sweet snack. I took this picture while visiting the Strasbourg Christmas market. The cheese and ham crepe being prepared was the one I ordered. It was yummy! The contrast of artificial light in the dark can be very surreal. In Feb 2015 I visited the Winterlichter illumination at Luisenpark in Mannheim. The exhibit was enjoyable and surreal. 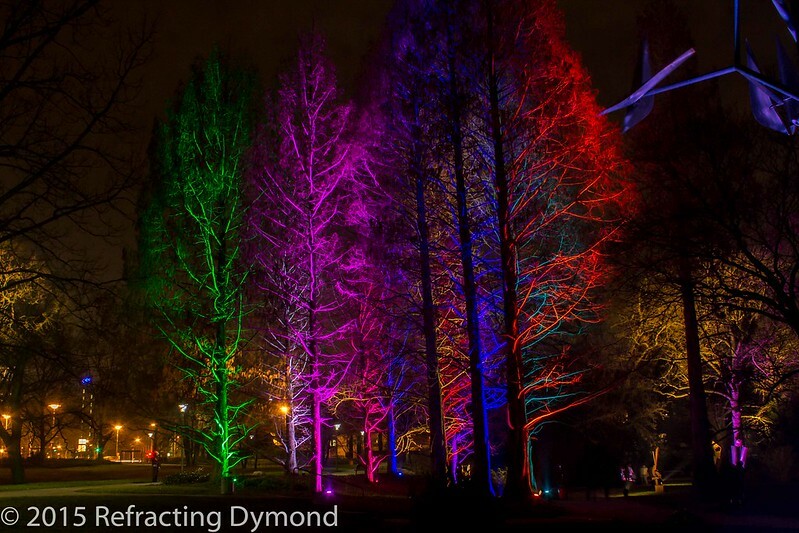 I especially liked the bright color of these trees, unexpected not only due to the color, but because the trees are illuminated from the bottom, which one isn’t accustom to seeing.